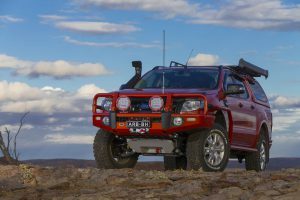 Here at ACHSV 4x4 we offer bespoke builds either adding on to your current 4x4 vehicle for an adventure or to make the daily drive more exciting or comfortable. ACH carry out full restorations from the ground up to bring your collector’s item back to life. ACHSV 4x4 are a specialist 4x4 vehicle company, offering a complete range of services . Our showroom and fitting centre offer a one-stop-shop for a huge array of 4x4 accessories, expedition gear and 4x4 spares for owners and enthusiasts of all makes of 4x4 and off-road vehicle. We have a brand new state-of-the-art paint shop for bodywork imperfection detailing to full resprays and we specialise in part or full restorations of your vehicle. We supply 4x4 accessories, complete vehicles, 4x4 specialist parts, replacement 4x4 spares and preparation equipment. Our ongoing in-house project restorations of Series 1, 2 and 3 Land Rovers will bring these beautiful vehicles back to their original former glory. 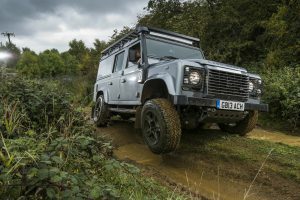 For more recent 4x4 vehicles we specialise in fitting Air Suspension systems, roof racks, winch bumpers, winches, canopies and all the expedition equipment and storage that you can think of ever needing for any adventure, being stockists for Front Runner, ARB, Old Man Emu, Safari, Wilderness Lighting, VB, RIVAL to name but a few. Our Silverstone showroom showcases the range of premium accessories available. Also on display are vehicles for sale and display. ACHSV customers come to us because the word at the top of our list is SERVICE. Many large companies ‘shout’ about customer service and have many surveys to convince themselves that customers are getting what they want but as most of us know it is not really the case. ACHSV was started with this in mind, aiming to give our customers the service and quality that we would expect. We sell and fit equipment and accessories from the top manufacturers around the world giving customers a place to come and choose the equipment they want and have it fitted to the highest standards. We supply complete vehicles as well as fitting equipment to customers own vehicles, we can source, build and deliver the ideal vehicle that suits your needs and your dreams. Visit us at our Silverstone showroom to see what is possible.